I always loved reading fairy and folk tales as a child, and as an adult too! As I made the bed the other day, I remembered the story of the Princess and the Pea. How the prospective mother-in-law set a test for the potential brides her prince son brought home, by stacking up 40 mattresses and putting a dried pea under the bottom one. The girl who complained of a bad night’s sleep was the one she allowed her son to marry. The moral of the story was that the girl with the sensitivity to feel the pea was “the One”. I wondered about that even as a child, because surely a well-brought up young princess would be taught not to complain about uncomfortable mattresses when visiting a queen! But maybe the queen was wise enough to know that it’s not just sensitivity that’s needed. Being sensitive to slights and discomforts can make for a very uncomfortable marriage! Maybe what the queen wanted for her son was a woman who wasn’t afraid to tell the truth. Maybe she’d learned from her long marriage that the only way to resolve issues between partners was to discuss them, not to be too polite to even mention them. But discussing them isn’t always easy, most of all when emotions and disappointed expectations get involved. This is a lesson Maddie, the heroine of the story I’m almost finished writing needs to learn. If she’d spoken up more, maybe her hasty marriage wouldn’t have ended in divorce. At eighteen, the shy country girl fell in love with handsome city boy Brad in a whirlwind vacation romance, married as soon as he finished college after a long distance courtship, and then tried her best to be a good wife. Too good! She didn’t know how to tell this near-stranger she found herself married too what she wanted or needed from him. He assumed he knew, but his desperate housewife mother and his father’s serial marriages hadn’t exactly given him the best of role models! Especially when it came to the meaning of commitment. Instead of being a good wife, Maddie became a good doormat, as her resentment built a wall between them. Instead of being a good husband, Brad escaped into work, where he knew exactly what was expected of him and felt respected. He was a good provider, but rarely home, even when she needed him most after their son was born. Now, months after their divorce gave him the wake-up call that turned him back to God, Brad wants nothing more than for them to become a family again. This Christmas, he hopes to prove to Maddie how much he’s changed. But he still needs to learn more about what God wants from him as a husband and father, and how to show Maddie he loves her. And Maddie needs to learn even more. How to let go of her resentment and unforgiveness, and how to speak up for what she wants and needs. At the start of the story, she’s just like those princesses who had a bad night’s sleep on the bizarre forty-layer bed but were too polite to say so. They missed out on the chance of a happy-ever-after with the prince. Maddie did too, choosing divorce rather than working to make her unhappy marriage better. Unlike the other princesses in the fairy take, Maddie gets given a second chance! In our own lives, finding the balance can be tricky! This is something I’ve struggled with in my marriage. I’m no doormat, far from it. That’s the trouble! I’m naturally red-headed, bossy and strong-willed! 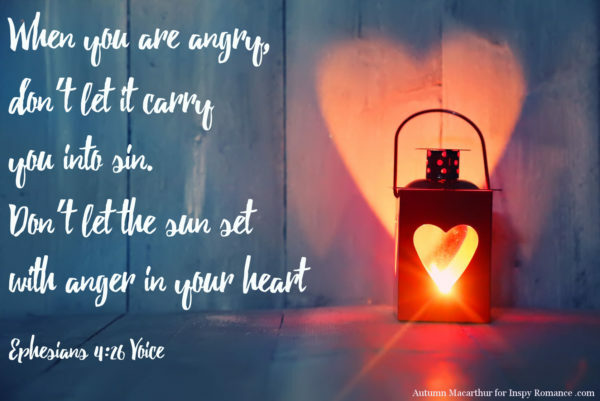 With God’s help, I’ve had to work on that, and learn to manage my anger. And especially how to show my husband he’s respected and appreciated, even when I don’t agree with him! Anyway, I’d love to know what was the biggest communication lesson you learned in your marriage (or other relationships) that you wish you’d learned sooner? Or, just for fun, what was your favourite fairy story or folk tale from childhood, and why? One comment made before September 2nd will be chosen at random to win the ebook of their choice from my current releases (excluding multi-author sets). And if you’d like to read Brad and Maddie’s story, Calm & Bright, it releases first in the Candy Cane Kisses boxed set, publishing September 27th and available on preorder now! I’m really looking forward to reading CALM AND BRIGHT, Autumn. It sounds like a wonderful story. The biggest thing I’ve learned when it comes to communication in a relationship is to listen. With everyone so dependent on their devices for information, we sometimes forget to listen to those in the same room. That is so true, Jill. Something my husband and I have found too. We’ve had to make a rule of no electronics at the dinner table! Oooh, another set to add to my ever growing list:) Communication lesson (work in progress!! ): it’s not about me, see the big picture and give space when it is needed. Men sooo think differently to women! They do! I write what I most need to learn, and I am a looooong way from having learned this one. I really like your view of this fairy tale. I’ve always found it a weird story, but the notion of being able to communicate is actually eye-opening. My favorite fairy tale was the Beauty and the Beast, and I remember thinking about how this was one of the few stories in which the characters actually spent sometime together before finding a HEA. My husband and I were friends for a couple of years before we started dating and even then we dated for several years (through college and while getting our masters degrees). I feel like being friends first gave us a really good start. I’d always found The Princess and the Pea weird too, then suddenly one day this interpretation came to me. :) But it’s still kinda weird. I LOL at the grumpy face on the princess in that illustration! I love Beauty and the Beast. It’s always been my favourite! That whole idea of seeing the best of the person behind a beastly surface, and the redemptive power of love! And yes, I hadn’t thought of it before, but they do develop a wonderful friendship over a longer period. I also love that most versions include shared interests, like their love of books. And the beast showing so much kindness and consideration for her. Unlike Cinderella – one dance and that’s it! I do like how they overcome fear and develop friendship in The Beauty and the Beast. I like Tangled too because of that: they distrust each other at first but learn to trust. It’s a beautiful process. Cinderella at least talked with the Prince while dancing, how about The Princess and the Pea, Sleeping Beauty, and Snow White? They didn’t even know each other. Oh, so true! I hadn’t even thought of those! My favorite fairy tale from childhood was Little Red Riding Hood. Having immigrated from Germany to the United States, I grew up with Grimm’s Fairy Tales. Having to leave both grandmothers, who I adored, behind in Germany; I wished I could walk through the woods to see them. The big bad wolf was the Atlantic Ocean and the 3,500 miles that made the trip impossible. Thanks for your blog. 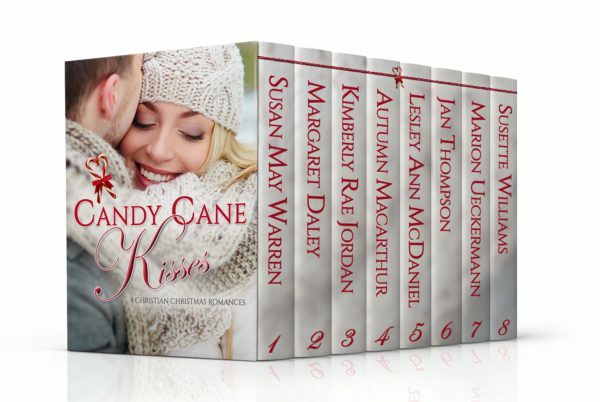 I am looking forward to reading Brad and Maddie’s story, Calm & Bright, in the Candy Cane Kisses boxed set, which I preordered. Such wise words, Renate. :) And so important. Hugs on that distance between you and your grandparents. That’s not an easy one. Now we have email and messaging and Skype, but even twenty years ago when I first moved from Australia to England, keeping in contact with my parents was hard. I have preordered my set when I first saw it😊. I think one of the biggest communication issues in marriages is that the other person doesn’t listen or maybe they are listening but the message is not being interpreted correctly which sometimes lead to divorce. I hope you enjoy the stories, Kaleen! Oh yes, that is so right. Even when we thing we are listening, the message doesn’t always get through. We all interpret things though our own filters of experiences and expectations. I’ve learned to wait until the person can really listen. If they are in the middle of something they don’t always hear what you are saying. Also let things that aren’t really important go. Not everything has to go my way! That is so right, Diana! There’s a time to speak, and in a heated moment isn’t it. Gotta remember that one! LOL, but I WANT everything to go my way! *pouts* We’re thinking of buying another house at the moment, oh, the “discussions” we’re having. What he wants and what I want are so different! We’re trying to find a compromise, but then we may end up with what neither of us want! My husband and I have been married for 37 years. We still hold hands when we take our walks together. I think we both have learned that we need to pray before speaking. Words spoken in anger are never helpful. Words spoken after taking time to pray about the situation will help calm the storm. Oh MImi, that is so lovely! Yes, prayer changes things. I’m a little too prone to speak in anger, then I go away and pray, and go back to apologise and make amends. I love the focus on communication in your new book. I too love Beauty and the Beast. We all have a little beast inside of us. Looking past our flaws, you will find the beauty hidden inside. Both of you may enjoy the FairyTale Mystery by Caroline Lee Beauty: an Everland Ever After Tale. A faded matron and a blind musician… Which is the Beauty and which is the Beast? Caroline Lee intertwined history with fairy tales. This story takes place post civil war. HEA story. Beauty and the Beast is my favorite, although I also liked Snow White. Not sure why they are my favorites, except that they are tales that I wanted to hear over and over again. As for Snow White, I loved the seven dwarfs! We’re coming up with a lot of favourites for Beauty and the Beast. Snow White gave me nightmares- that wicked stepmother was soooooo wicked! Fun to read all the comments! 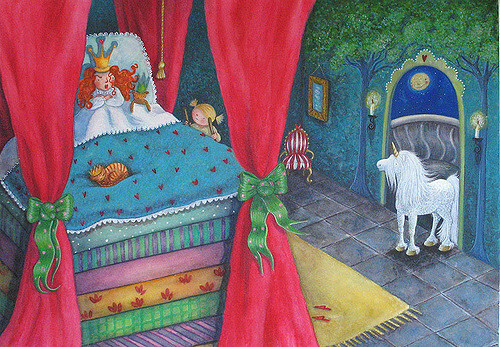 I never appreciated The Princess & the Pea until recent years – I cannot believe how small a wrinkle in the mattress pad or bottom sheet will make my hip ache! True, Margaret! I think it’s something we need to be an age to appreciate! Like you, I’m not one to be a doormat and tend to be a bit bossy, but I’m learning I need to quietly and gently share my thoughts. In November, my husband and I will have been married for 34 years. We’ve had our share of misunderstandings and differences. You see he’s third generation Japanese and he didn’t realized all the traits he had. Before meeting him I lived in Japan for a year and got to understand the culture. So I could see those differences and I tried to understand him. As the years have gone by we’ve learned, through the help from a pastor, two great couples Biible study books (Five Love Languages & Nightlight for Couples), and my father(who was a pastor), how to commit to communicate to each other. It’s a work in progress each day because we are only human and lots of time let our emotions rule. Honesty and truthfulness are two important parts of communication, and we try to practice them daily. Those cultural differences would be significant, I’m thinking. It sounds like you’ve worked hard to deal with them. My husband is on the autistic spectrum, and though he’s very high functioning, we do run into misunderstandings often! I work at a middle school in the special ed. I’ve worked with autistic children. My heart goes out to you. I’ve always loved the story of The Princess and the Pea. Autumn, you have a very interesting take on the story and a good lesson about marriage. 1) Cinderella–specifically because I have very tiny feet (and the pictures in my childhood books showed a tiny glass slipper that no one could fit into but Cinderella). I have terrible problems finding adult shoes that fit, and kids’ shoes are too cheesy-looking for an adult to wear. It was terrible for years when I had to dress up in suits for work, wearing appropriate shoes that didn’t fit me, and always, always having severely aching feet day and night. I had a good mom & a good sister, so I didn’t relate to any other part of Cinderella, but I liked that she had such rare feet that no one else could fit in her shoes. 2) Princess & the Pea!! – I’ve always had severe insomnia (since I was a baby), and the worst times are being alone in the darkness for hours wide awake. I get so sensitive that I feel every crease of the sheets and the wrinkles in my nightwear, and it irritates me so much. I can’t get comfortable no matter what I do. Then I think of that fairy tale & wonder if it was created by someone who was hypersensitive as well, but no one understood them. I find a little bit of comfort in knowing that that such hypersensitivity was a *positive* thing in the fairy tale–she was not ridiculed, she was appreciated for her hypersensitivity. Just as having oddly sized feet was a positive trait for Cinderella. Unfortunately, I’ve never found my “prince” … but I’ve dated a lot of guys off & on. I wish I would have known not to date some guys just because I was lonely–the negative effects of my life & the fallout was so terrible that it wasn’t worth it just to have some attention & not feel left out. I’ve become better at communication–especially learning how to communicate my feelings wisely (which took decades to learn). It makes all the difference in the way I express myself, and I’m always praying for help. If I pray and listen to the Holy Spirit, He works things out soooo much better than when I react out of my emotions. “If I pray and listen to the Holy Spirit, He works things out soooo much better than when I react out of my emotions.” Oh, that is sooooo true, Lora! Unfortunately I still tend to speak first, pray second. I ask God all the time to help me keep my mouth shut when I need to be quiet! Little feet! I never thought of it as an issue, but it would be hard to get businesslike shoes. I loved the Cinderella story too, but as my feet are average size and chunky, I knew I could never be her! Oh, hugs on the sensitivity. It can make the world a very difficult place. Hans Christian Andersen was the first to write down the Princess and the Pea story, and apparently he was extremely sensitive too. Thanks for your wise words, Autumn. I’m a redhead too, but I’ve always found it a challenge to express what I mean so it is heard – being naturally inclined to be more bull-headed about things. Learning to swallow my pride, and asking God for wisdom in those tough moments has been necessary in 19 years of marriage. It IS so necessary, Carolyn. I seem to have two ways to do things when I’m angry- silent resentment or full-on explosion. I am praying God helps me find that wise middle path! As to my favorite fairy tale, I always likes Snow White or Sleeping Beauty. Probably because I always envisioned a prince coming to my rescue and sweeping me off my feet or waking me with the kiss of love…lol!! Smiling for you, Trixi! God does know what we need, and I am so glad! LOL at the fairy tales! Yes, that’s the wonderful fantasy. Especially in Sleeping Beauty, I loved that he fought his way though so much to get to her.